“Pullbacks towards 1.34 should in theory provide an opportunity to get back into topside exposure” - Sheba Jafari, Goldman Sachs. Pound Sterling's impressive late-August / early-September rally against the US Dollar appears to have applied the breaks now that the exchange rate has gone above 1.34. A high at 1.3658 was recorded on September 20, and since then the exchange rate has stuck to a tight, side-ways orientated range. Is the GBP/USD exchange rate at risk of a deeper correction, or can further gains be expected? Phil Seaton at LS Trader says the long-term trend remains up and could yet continue higher to his next target at 1.3835. Seaton trades the markets by picking trends that are expected to extend; GBP/USD is seen as one market that is going higher still. “Two things of interest to note with the Pound is that there is a fairly reliable 8.1-year cycle evident on the long-term charts, which bottomed earlier this year, as well as heavy commercial buying from insiders as shown by the Commitments of Traders report,” says Seaton. To Seaton this suggests that "whatever negativity there is around the UK and Brexit, ratings downgrades, in the media and elsewhere, the smart money is not buying into the negativity". 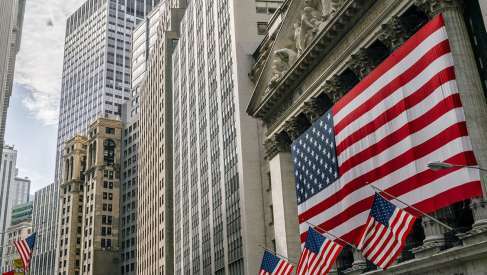 Technical strategists at Wall Street giant Goldman Sachs agree with the view that Sterling can still go higher against the Dollar saying they are shifting to a more constructive stance on the exchange rate. Should the GBP/USD move higher indeed accelerate, Jafari is looking for 1.3619 to come into focus and then 1.3862-1.3886. “Adding to pullbacks towards 1.34 and no lower than 1.3370,” says Jafari. The analyst notes GBP/USD appears to be holding 23.6% retracement from August at 1.3449. An equality target from the high projects down to 1.3392. “This means that as long as the market holds 1.3392, this stall in trend can still be viewed as corrective,” says Jafari. But it is noted that breaking lower than 1.3392-1.3370 might undermine the setup, increasingly the likelihood for this to have been a false breakout. The analyst says it is worth noting that while its possible to make out a bullish wave count from the October low, because of the overlapping nature of the rise, it’s certainly not a strong foundation. Goldman Sachs say they see benefit in buying GBP/USD on any pullbacks ahead of 1.3449 and holding a stop below 1.3370. The Pound-to-Dollar rate edged higher during early noon trading Wednesday following a punishing start to a holiday-shortened week but the British currency is at risk of another sharp lurch downward over the coming days, according to technical analysts. Sterling slipped into and out of the top spot in the G10 league table Tuesday as the UK parliament having returned from its Easter recess stoked fresh hope of a breakthrough in the Brexit process, but first-quarter GDP data due from the U.S. on Friday could pose a threat to the Pound-to-Dollar rate. 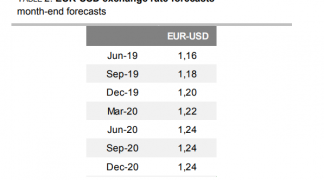 The Pound-Dollar exchange rate has fallen below the psychologically important 1.30 marker as near-term momentum turns negative suggesting a bias for further losses over coming days.